A while ago, I had written a post with 45 idioms from the world of boxing. As JSTOR Daily reports, in 1942, writer Elrick B. Davis collected a glossary of terms tied to the old logging tradition. At the time he was writing, the lumber industry had begun to see American forests as giant tree farms. 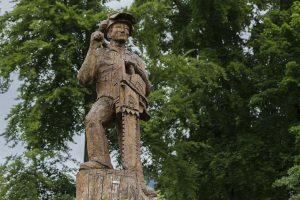 Loggers used trucks and tractors to bring in the harvest, and treated the job like any other, living in towns near forested areas with their wives and children. I’m here today with an book I can highly recommend, the third book in the Starstruck series: TRAVELER. I greatly enjoy this series. A blend of science fiction and romantic fantasy. The Starstruck series is great fun. This is where Star Trek meets the Hitchhikers guide. I’m sure you’ll enjoy it. If you haven’t started the series, keep reading. This week you can begin quick and easy. I followed Zander into the hallway, taking it all in. The corridor, stark white and laced with utilitarian chrome, stretched in both directions. It was what I’d always imagined one of these would look like. First jump and bam—spaceship. For me, jackpot. Not home yet, but I didn’t want to jump anytime soon and I wanted to explore in the meantime. Both of the times I had been on a ship, I had been abducted, never having time to inspect the alien technology. It was the price I had paid for freedom. And those ships sucked, anyway. This one was much better. A little more… glossy. Not some falling apart piece of garbage. Not some aliens trying to burn down the world. No, this was a real spaceship, one that gleamed and traveled the stars. Blayde grunted and stretched, staring down the corridor. She tugged on Zander’s arm, but he didn’t seem to notice, or care for that matter. I imagined Blayde had strong upper-body strength, yet she wasn’t swaying him one bit. The only Alliance I knew was close to Earth, which meant we couldn’t be too far away. My heart skipped a beat. He looked so… excited. Like this shared experience was making him giddy. And I had to admit this was the pinnacle of astrolust for me; I was actually seeing a spaceship, a real one. “Can we look out a window?” I begged. “There’s really nothing to see,” Blayde muttered. “Come on, Sally.” Zander shot a glare at his sister then grinned at me. I smiled back and trotted to keep up with his stride. Haven’t yet begun the Starstruck series? You are in luck. This week, until April 28th, Starstruck the first in the series is free on Amazon. As a celebration for the upcoming release of Traveler on Friday, Starstruck is now FREE until the 28th! Grab it for the sweet price of $0. We hope you love it! Finding Earth has to be put on the back burner, as Sally’s stuck tending alien boo-boos – and she still has no idea what she’s doing. And she might live long enough to get off the planet in one piece..
Last year I decided, along with a few other authors, to put together a boxed set with ten to twenty full books. Over the following weeks, then months the dream began to take shape while offering a few white-knuckle moments. We recruited fantasy and science fiction authors who were willing to take a chance of offering a full book to our set. A great deal of research and effort was required including, cover development and approval, blurb writing, book beta-reading, and marketing planning and implementation. Over the many months of this project, we have explored and learned about marketing, coordinating and managing a complex project. Several authors submitted pre-published stories, others wrote stories specifically for this collection. It is a challenge to produce a book with a short fixed deadline. I have serious respect for authors that can write under this pressure. As of this month, we have 22 complete books that will be published in this ebook boxed set on May 1st. In developing this boxed set, we decided on a theme of a simple time. We curated books that either did not use modern advanced technology or were filled with a society which had lost a portion of their technology. Most of the books contained fantasy elements, some science fiction, and few blended the two into science fantasy. I am impressed with the quality we were able to assemble and hope the thousands of readers who have preordered this set are equally impressed. I found this a big job, which consumed more time and money than I anticipated, and the first week of May should be a rewarding conclusion for all the effort. 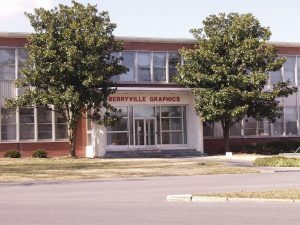 Just where is Berryville, you may ask. A question that can only grow when you learn that a town of some 4,000 people is responsible for producing some 140 million books a year. As Andrew Madigan of The Washington Post reports, Berryville is the seat of Clarke County, five miles from West Virginia. Buildings of note include a Trappist monastery, a soldier’s home and a very old pie company. With a population of 4,185, Berryville has a healthy, ironic sense of its own obscurity.